In the quest to overcome the severe head pains I’ve been experiencing over the past few months, my neurologist recommended that I get tested for sleep apnea. He said I had all the symptoms and even if it wasn’t the cause of the headaches, I would live a much healthier life if better rested. So, I agreed, and this past Monday night I went in at 7:00 PM for my testing. 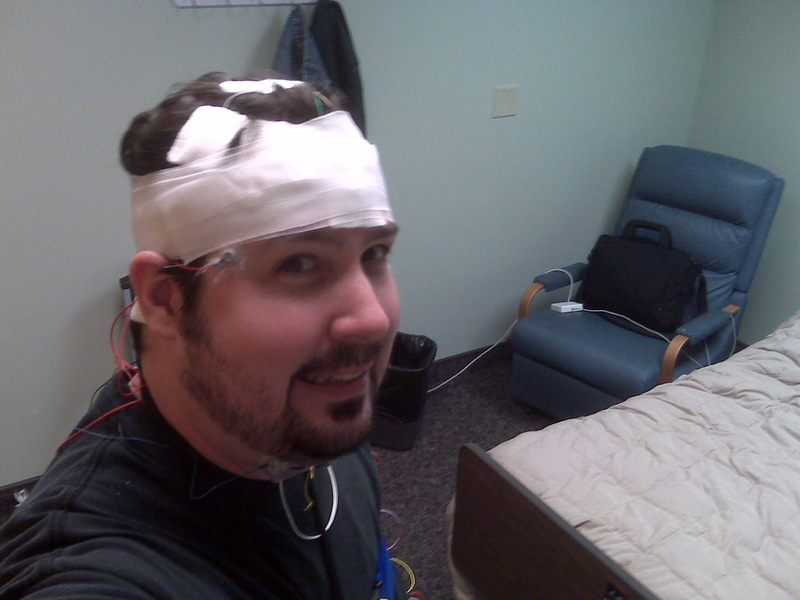 After the video, a tech came in to test me on the sleep apnea machine called a CPAP for short. CPAP stands for “Continuous Positive Air Pressure”. Sleep apnea, if you didn’t know, is basically a sleep disorder in which breathing repeatedly starts and stops during the night. As I’ve had sinus issues all of my life, I thought the diagnosis probably wasn’t far off. I placed the mask on my face and practiced breathing with it for about 15-to-20 minutes. No problem! 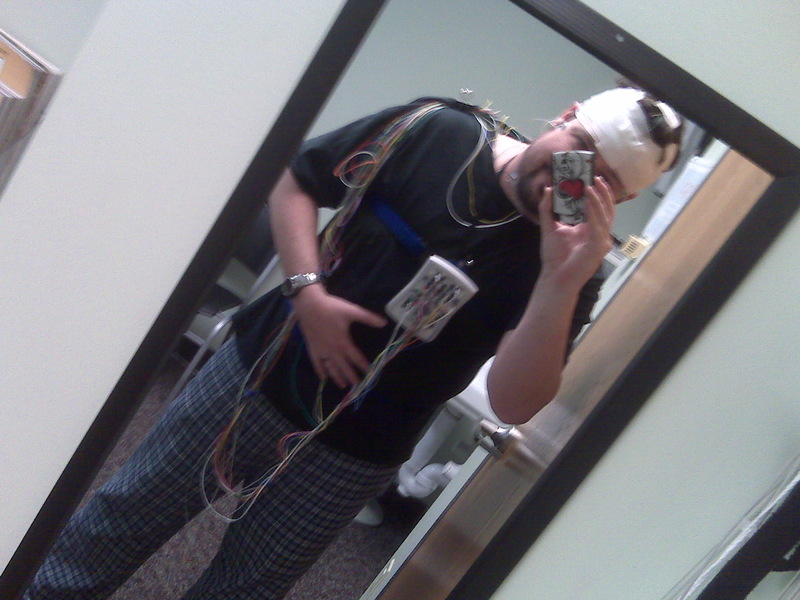 In addition to all of that, I also had four more cables go to those blue straps around my chest and waist to monitor breathing and one of those glowing ET-finger-thingy’s on my left index finger to monitor oxygen before they turned the lights off at 10:00 PM. I fell asleep within the half hour, I believe. It was a little hard being all hooked up and having to be restricted to just laying on my back, but I was pretty physically exhausted — as I have been since the headaches started coming in early November. It wasn’t too hard of a task. I didn’t have the CPAP machine on me for the first half of the night, as they were getting the readings for how I would “normally sleep”, without aid of the machine. The readings would later show that I had sleep apnea / hypotnia (cessation of breathing) averaging out to about twenty-five times per hour. WHOAH! That’s almost half of every hour that I was struggling to breath! Pretty scary results. 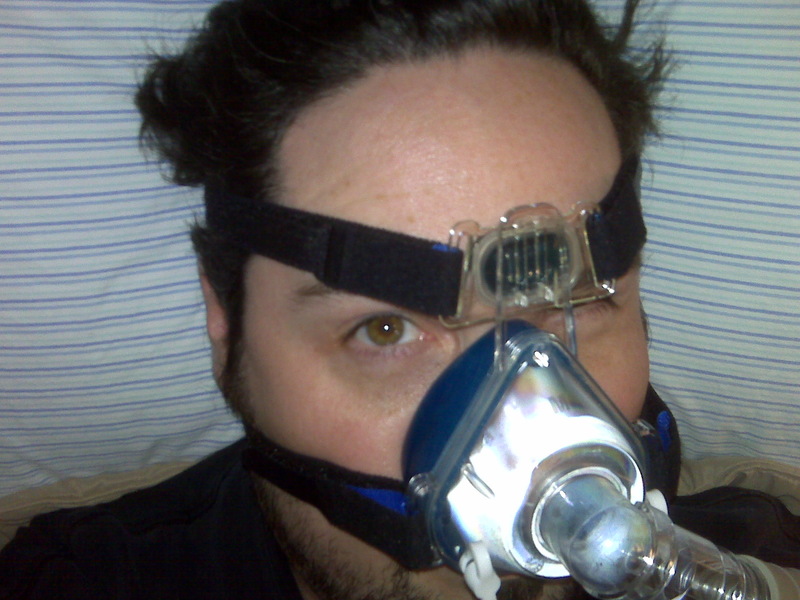 At about 2:00 AM, the tech came in and hooked me up with the CPAP machine. It’s function is to basically keep my air passage open by issuing a positive air pressure down my nostrils while I sleep. When the test results came in for the second half of the night, they were textbook perfect. Exactly where they would want breathing patterns, etc. to be. It was pretty amazing seeing the results. I didn’t really feel all that different when I woke up, but to be fair, I was only hooked up to the machine half of the night. Doc “LOST” came in and explained the readings to me with his assistant and I was diagnosed to sleep with a CPAP machine for the rest of my life. That’s quite the prescription! 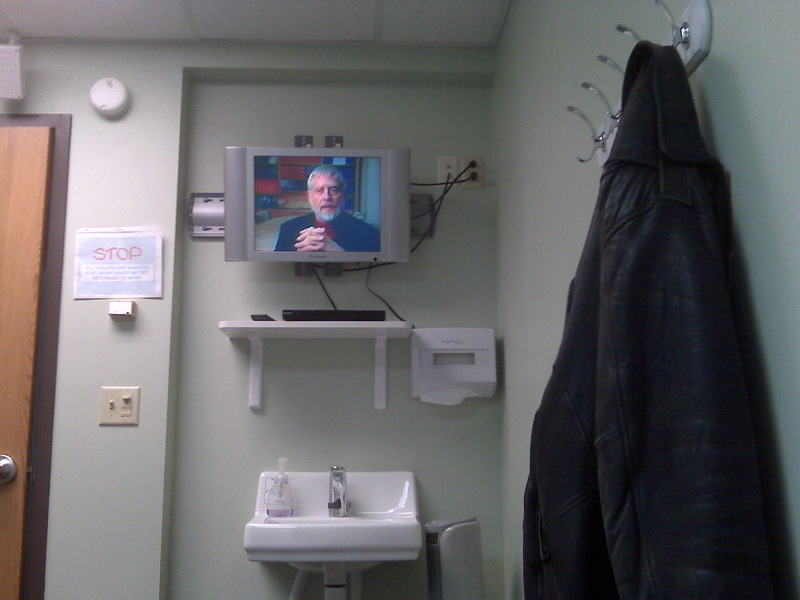 Later that afternoon, I went to Apria Health Services and picked up my CPAP machine. I was given instructions and everything I needed to try it at home for the first time. Pretty simple: fill the machine with distilled water, put on the breathing apparatus, and breath. It starts on it’s own after it detects your first two breaths. I had Deanna try it first after I got it hooked up. She didn’t have any problems either. Long and short of it. I went to sleep after a bit of twisting and turning to find a comfortable position and didn’t wake up until 7:00 o’clock this morning. I feel more rested than I’ve felt in a VERY LONG TIME. I guess I didn’t realize what I was missing out on. I hardly know how to describe the difference I feel. It’s pretty drastic. If the CPAP machine makes this much of a difference every night, I’m definitely okay with how crazy I look when I’m all strapped in. Thanks again, for all your prayers and concern for me over the past few months. I’m still working with a therapist to straighten out some misaligned vertebrae in my back that they think might be the cause of my pain. I’m still on pain meds, but am still praying and believing that I will be back to normal soon!